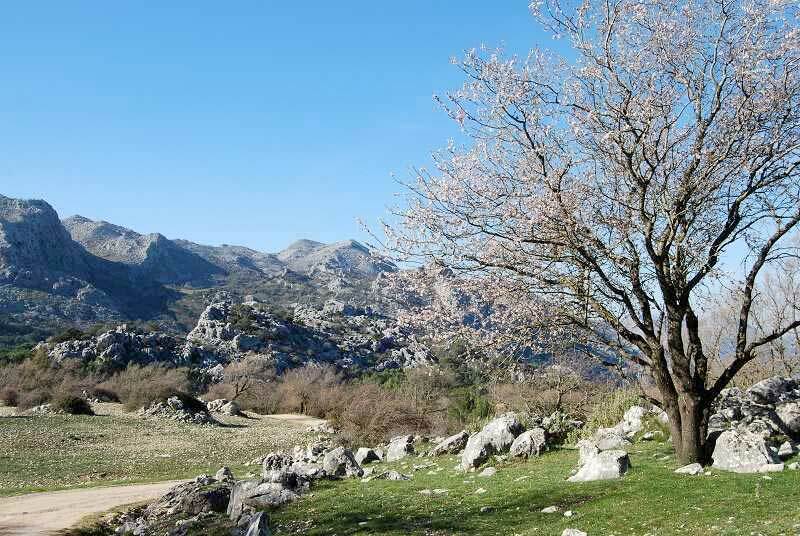 Located at the foot of the Jobo and Camarolos Sierras, close to the Malaga Mountains, its landscape is both beautiful and spectacular, boasting a wide range of vegetation, colors and shades. The upper section of the River Guadalhorce flows through the village, its banks lined with ashes, poplars and black poplars. Though the Romans and Arabs both passed through the area, the present-day village is not especially old; its popular architecture, featuring clean, well-preserved buildings, is complemented by the numerous houses dotted around the countryside with their allotments and gardens. Four villages in the province of Malaga are called “Villanueva”: Villanueva de Algaidas, Villanueva de Tapia, Villanueva del Rosario and Villanueva del Trabuco. All four are located in the north east of the province, the former two further to the north, between the municipal boundaries of Cuevas de San Marcos and Archidona and near the border with the province of Granada to the east; Villanueva del Rosario and Villanueva del Trabuco are in the north of the Axarquia region and are also adjacent to Archidona and the province of Granada. These four villages were all founded at practically the same time in the 18th century as a result of Charles III’s plan to repopulate areas of Andalusia which were practically uninhabited and which, as a result, often served as highwaymen’s safe havens and lairs. The history of Villanueva del Rosario, however, dates back much further, with Palaeolithic, Neolithic, Calcolithic and Bronze Age archaeological remains being discovered here, although the most interesting sites pertain to the Roman era, specifically to an early settlement form the period called Ovilia. There are few details available regarding the village’s evolution from Roman times to the 18th century, when six hamlets belonging to the Duque of Osuna came together under the name Puebla del Saucedo. In 1827, the village separated from Archidona, adopting the name Villanueva del Rosario at the beginning of the 20th century.